The fruit of the Chilean vine: a grill at Lapostolle, carica fruit, and rica-rica on the branch. Last year, I spent a few weeks in Chile as a guest of , an association that promotes the country's rich bounty. Chilean wine is no longer a secret. But the the apples, salmon, walnuts, olive oil, plums, beef... Before the trip I had no idea how much of the food the world eats comes from this skinny strip of land along the Pacific. The sheer variety of geography — mountains to sea, plains to valleys — makes for incredibly rich waters and soils that yield a fruitful and varied harvest. Cold currents from Antarctic waters make for fantastic seafood, varieties of which I'd never seen. Ditto the fruits. I was forever scribbling down the names of species were new to me. ("White strawberries and murtilla berries: daaaamn. 286 native potatoes. 225 species of fish; 65 shellfish.") The Chileans know the value of what they have and are fierce about protecting it. I was traveling with Popupla contributing editor Alyssa Shelasky, who was nearly denied entry when the X-ray machines at immigration found a wayward apple she had tucked into her bag at the Delta lounge in Miami. I'll have to travel back to Santiago to eat fresh picoroco barnacles at Mercado Central, but in the meantime I'll settle for the goodness available online. Even the juice in the jar is delicious. The fruit known as the Chilean papaya is reminiscent of mango, pineapple, and pear. Yum. The firm texture makes it versatile in the kitchen. Eat it plain, throw it on the grill, use the juice from the jar in a martini. ($10.95), and get inspired by these . Lapostolle wines: before and after. Talk about heaven in a vineyard. winery in Colchagua Valley is a gorgeous property, with acres of vines as far as the eye can see and Relais & Chateaux casitas scattered throughout. The wine-producing facilities are something out of a gorgeous sci-fi movie: stunning, futuristic, environmentally sound, underground. Owned by the Grand Marnier family of France, the wines win awards by the armful, but ($90) and ($22.99) were especially memorable. Olisur's fields, headquarters, and production facilities; the result. Not far from Lapostolle in Colchagua Valley is Olisur, one of the few olive oil producers who handle every aspect of production, from growth and harvest to production, bottling, marketing, and sales. Their 1,500 hectares yield award-winning oils that can be processed within one hour of harvest. The headquarters are located in a beautiful building made of biodegradable materials; the production facilities include geothermal cooling processes. Yeah, yeah: How's the oil? Incredible. Your spaghetti and salads should always be treated to the love of their ($11.99). Everywhere I go, I stock up on local dried spicy peppers. ($17.54), often spelled as "merken" in English, is the smoked chili mixture that gives Chilean cuisine its kick. I bought an enormous bag of it at the Mercado Central to share with friends, but I saved plenty for my pantry. It's great on everything, even vanilla gelato. 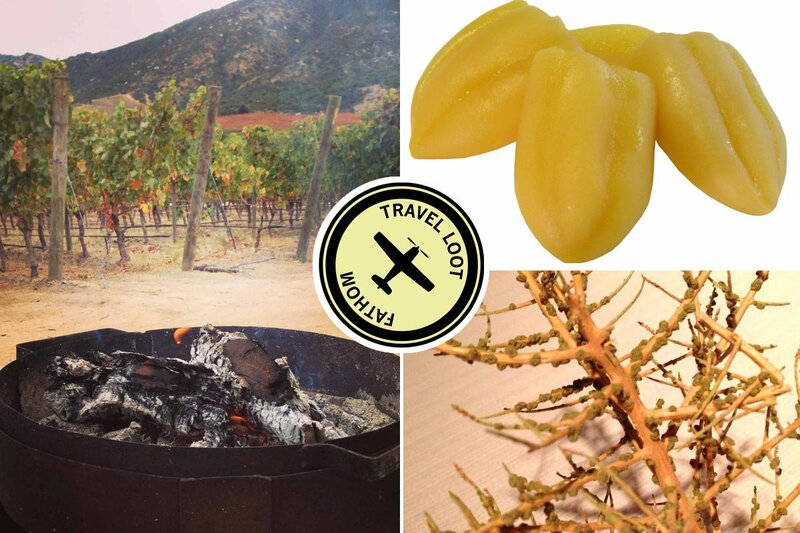 , the amazing Atacama desert plant reminiscent of sage, eucalyptus, and cedar, is the other flavoring that I saw everywhere and love cooking with at home. I haven't found it online, but put it on your shopping list when you're next in Chile. Cured wagyu on offer and for sale at Coquinaria. Forgive me for this one, because I can't figure out where to buy these unbelievable cured meats from Patagonia online, but I know Popupla readers will go out of their way to try to source the jamon crudo de vacuno ahumado, jamon patagonico de wagyu, jamon crudo de llama. Even at $3 a slice at , the wonderful gourmet market in Santiago, I couldn't get enough. Let's all start lobbying the producers, , to make imports to the rest of the world a priority for holiday shopping. Ay, que rico.